One of the few bands on Prague jazz scene, in which you can hear a three-piece wonderful horn section. You will hear the original compositions by band leader Jan Hála as well as modern jazz compositions by Don Grolnick, Alan Pasqua, Milton Nascimento and John Scofield. 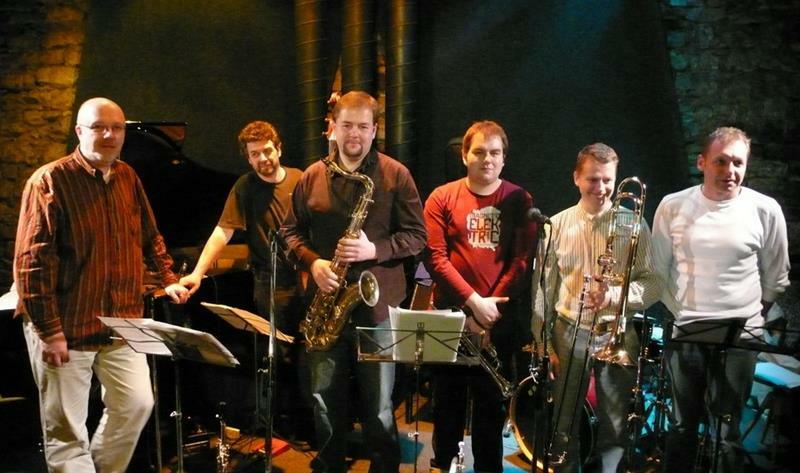 The band Limited Edition, founded by the pianist and composer Jan Hála, first showed up on the Czech jazz scene in 2001. Outstanding Prague jazz musicians gathered in Limited Edition. Their repertoire focuses mainly on modern jazz with the significant elements of Latin music. Besides Jan Hála’s original compositions the band sticks to the pieces of Don Grolnick, Horace Silver, Milton Nascimento, Ivan Lins, John Coltrane, among other world-class jazz composers. Feel free to check the list of Prague jazz concerts. In a small cozy space of a Gothic vault in the heart of Prague you can appreciate top jazz performances. First rate local and international jazz musicians, unique atmosphere, drinks for friendly prices, including original Agharta drinks as well as Pilsner Urquell tap beer. Definitely one of the best places of Prague jazz concerts scene. Since 1991, the AghaRTA Jazz Centre has drawn lovers of jazz by its top quality program. The dramaturgy of the club revolves around three main ideas: to present top Czech jazz musicians (Jiří Stivín Emil Viklický, Luboš Andršt etc. ), to introduce jazz musicians who began their career in this Prague jazz club and made it to the top (Roman Pokorný, David Dorůžka, Robert Balzar, Yvonne Sanchez and many others), and to support young talented musicians providing a platform for their presentation. Apart from its regular program AghaRTA Jazz Centre organizes the Annual AghaRTA Prague Jazz Festival featuring distinguished artists, such as The Brecker Brothers, Chick Corea, Candy Dulfer, Jan Garbarek, Diana Krall, Branford Marsalis, Wynton Marsalis, John McLaughlin, Pat Metheny, Oregon, Maceo Parker, Courtney Pine, John Scofield, Wayne Shorter, Spyro Gyra, McCoy Tyner, Miroslav Vitous, Mark Whitfield, Yellow Jackets.